*** Arianne (10b). Rosy Pink. Named in memory of Arianne Abraham, a lovely and happy 9 year old girl who tragically died whilst riding her much-loved pony. 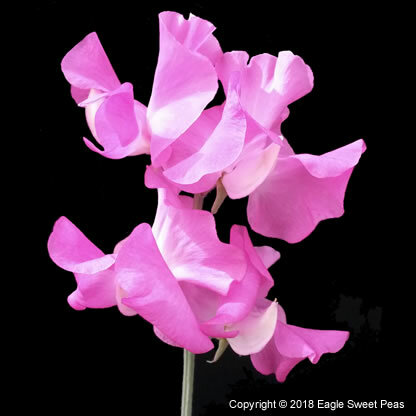 She carried sweet peas as a bridesmaid and would have been pleased to know that her sweet pea is pink. Excellent perfume and suitable for exhibition and cut flower. Bred by Eagle Sweet Peas.